Live and Work in Canada Informational Seminar | Angeles City - November 21, 2010 - Gateway to Canada | Canada Immigration Consultancy! If you are from Angeles City or nearby towns and is interested to live and work in Canada, this is for you. I'll be conducting an informational seminar about Canada Immigration on November 21, 2010, Sunday 2pm at Century Resort Hotel. Registration Fee is P500/head. Please bring copy of your resume. There would also be a one-on-one consultation to address your specific concerns. Attending this seminar will equip you with information on different ways on how to live and work in Canada. You will know which program is applicable to you. 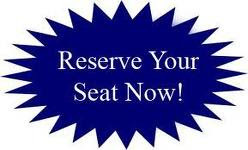 Reserve a seat now and take the free online assessment, too!